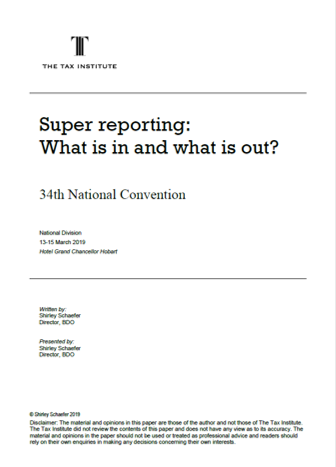 Superannuation reporting: What is in and what is out? This paper looks at key changes to reporting for SMSF advisers. Access the paper by completing the form now. The Tax Institute is the leading forum for the tax community in Australia. We are committed to representing our members, shaping the future of the tax profession and continuous improvement of the tax system for the benefit of all, through the advancement of knowledge, member support and advocacy.